Welcome! We Offer Professional Services With High Standards of Reliability, Work Ethics and Customer Service. 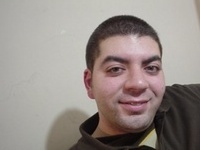 I Offer Professional Services With High Standards of Reliability, Work Ethics and Customer Service. 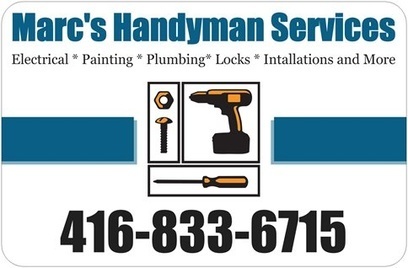 Please call me if you need Electrical Work, Plumbing Work, Locks, Hang Doors, Fix Windows, Hang Curtains, Drapes, Hang Shelves, Installations, Carpentry, Painting, Tiling, Flooring or any tasks that you need done at your place. 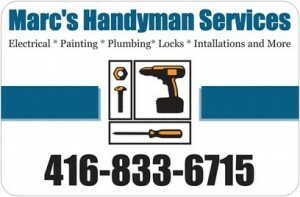 I am Serving the Toronto Area, Downtown Core, East York, North York, East End, West End. Rates are $40 per hour with minimum two hours charge per call. Please give me a call at 416-833-6715 I am located mostly in Downtown Toronto and I can travel a bit more.